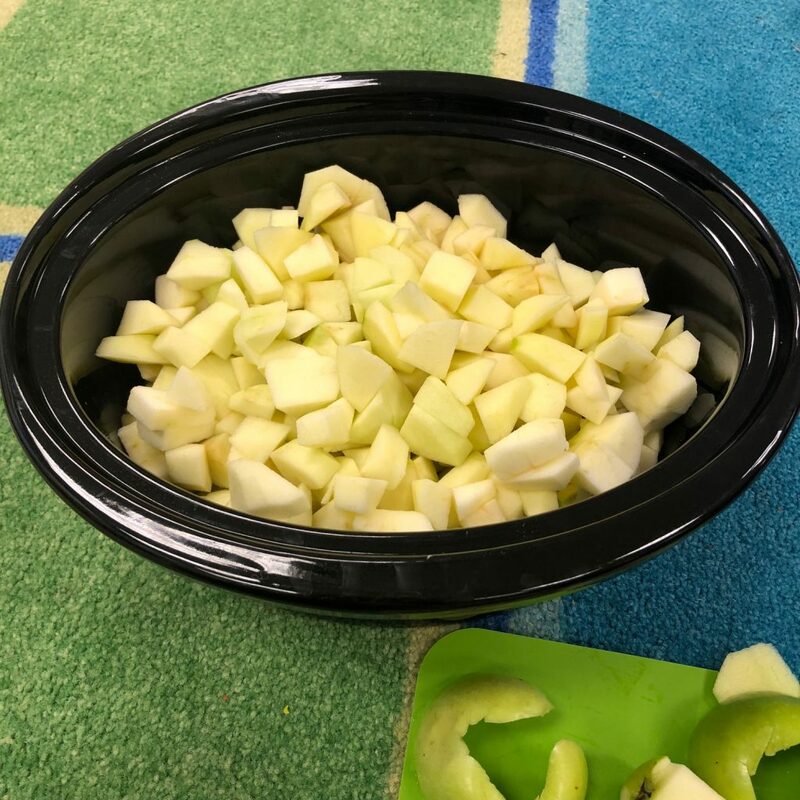 Making applesauce in the classroom is my favorite part of fall! 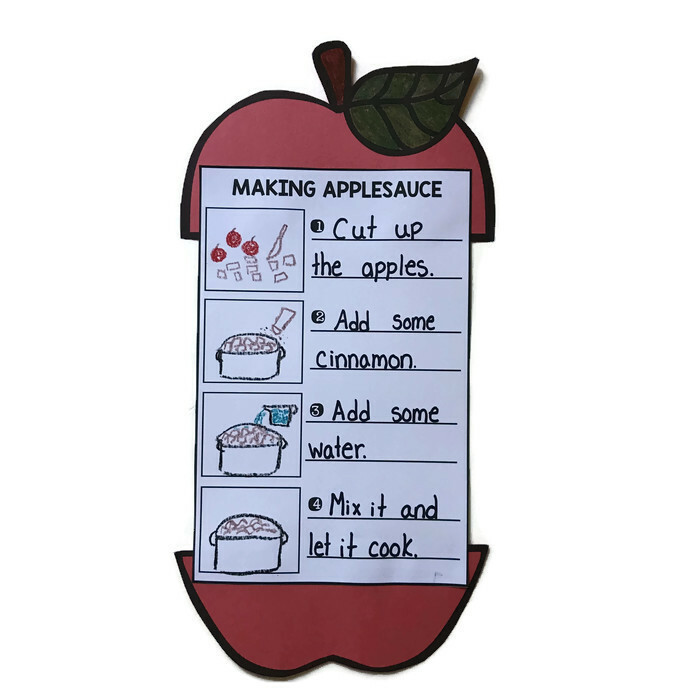 There’s nothing like the smell of homemade applesauce filling your classroom alllll day long. Oh, it’s so good. 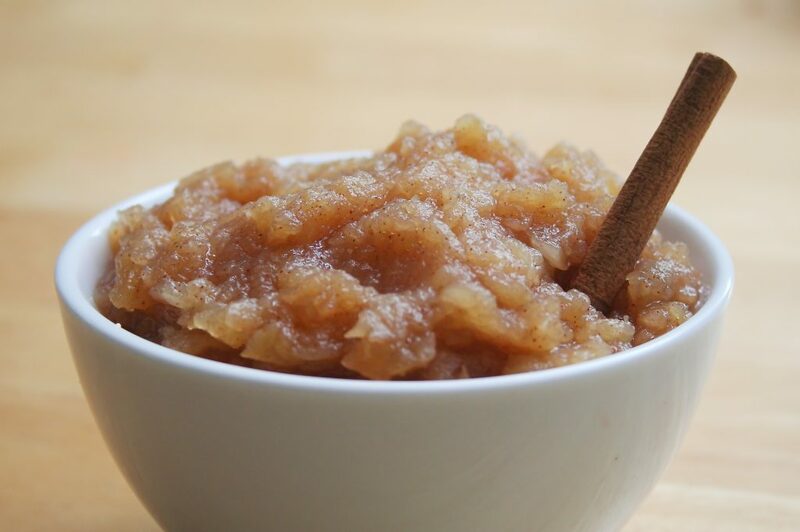 To make this applesauce, you don’t even need a recipe. You will need 4 bags of apples, some cinnamon, and water. No sugar or extra additives. Just goodness. Before my students come in, I peel and chop most of the apples. I save each student a large chunk of apple to chop up. We get started first thing in the morning, because you want your applesauce to have plenty of time to become soft and mashable. 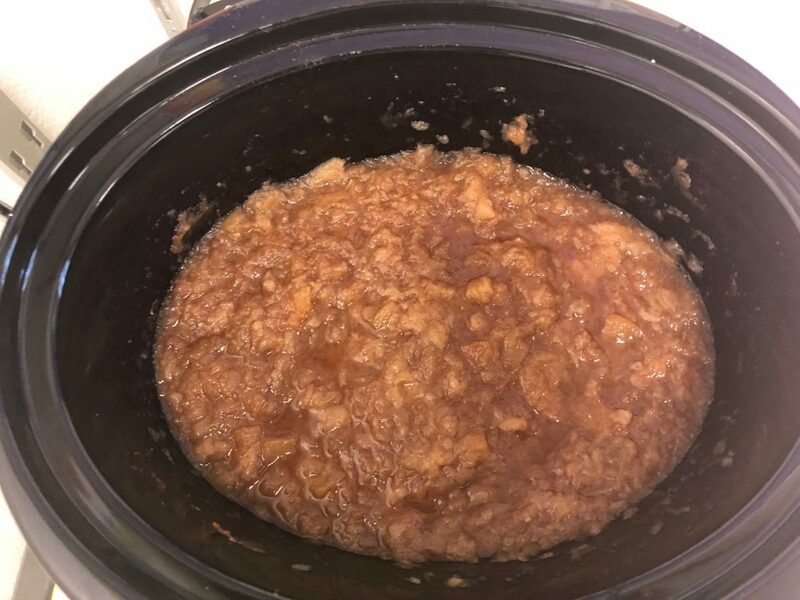 The first year I made crock pot applesauce, I didn’t start early enough. We had warm apple chunks instead of applesauce that day! I sit my students on the rug in a circle. I sit in the middle, and peel, core, and chop a few apples so that they can watch. Then, I let my students get to work. I give them each a chunk of apple, a paper plate, and a plastic knife. 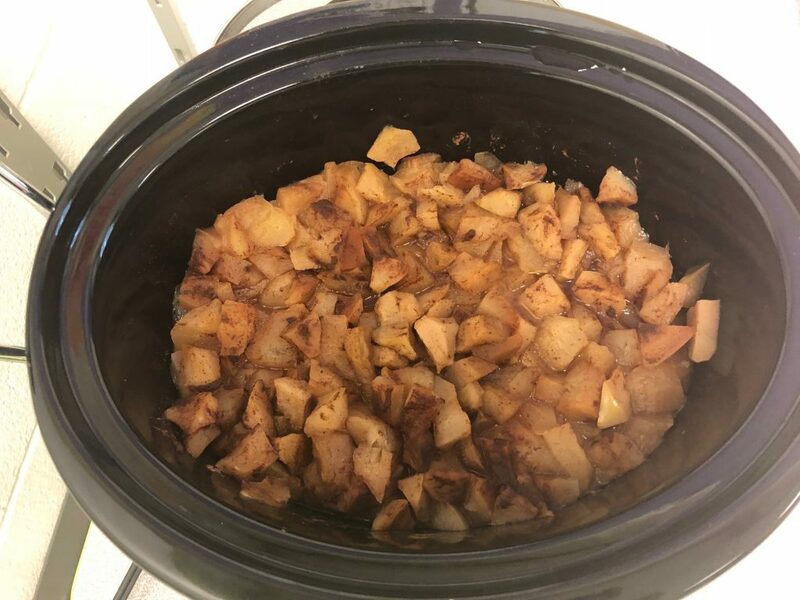 They wash their hands, and then chop up their apple and add it to the crock pot. A large crock pot should be filled almost to the top. When we’re finished chopping, we add some cinnamon and one cup of water. Then we put on the lid and turn the crock pot on high. And here is a photo after mashing. You can mash it up more if you prefer, but I love a slightly chunky applesauce. The experience of making applesauce is one I hope my students never forget. We always follow up with a how-to writing so that we can teach our families how to make it again! You can get this craft HERE in my TpT shop. You can read about the other apple math and science activities we do by clicking HERE! 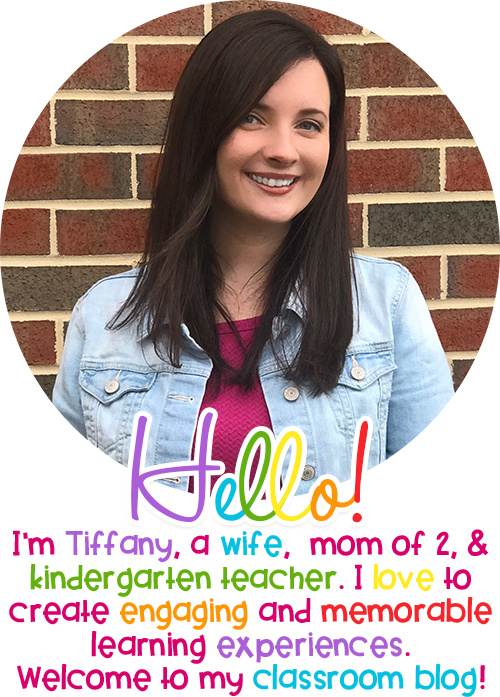 I hope this post has inspired you to get cooking in your classroom!